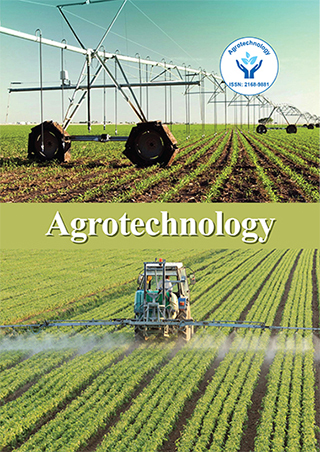 Studies were carried out to evaluate the bioefficacy of tebuconazole 25 WG against downy mildew (Plasmopara viticola [(Berk and Curtis) Berlese and De toni]) and powdery mildew (Uncinula necator [(Schw.) Burn)]) of grapevine its persistence, com - patibility with insecticides and effect on residual level and visible fruit quality. Tebuconazole 25 WG at different doses viz., 0.05, 0.10 and 0.15 per cent were highly effective against downy mildew and powdery mildew of grapevine cv. Muscat Hamburg in two field trials. Tebuconazole 25 WG @ 0.15 per cent was found to be the optimum dose to control the mildews of grapevine, which recorded decreased incidence of both the diseases. Tebuconazole 25 WG was compatible with monocrotophos. However, the insecticides viz., profenofos, dichlorvos, carbaryl and dimethoate were not compatible with tebuconazole 25 WG and they caused phytotoxic symptoms. In grapevine berries, the visible and edible quality of fruit was enhanced due to spraying of tebuconazole 25 WG when compared to untreated control fruits; however there was no significant difference with other fungicides. N. Nandha kumar has completed his B.Sc (Horticulture) at the age of 21 from Tamil Nadu Agricultural University and M.Sc. studies on Fruit Crops from Tamil Nadu Agricultural University, Periyakulam by 23. He has carried research project on pre and post harvest management of grapes under the guidance of Dr. V. Ponnuswamy, Dean, HC & RI, Periyakulam, Tamil Nadu. He is credited with one international publication on impacts of climate changes on horticultural biodiversity.